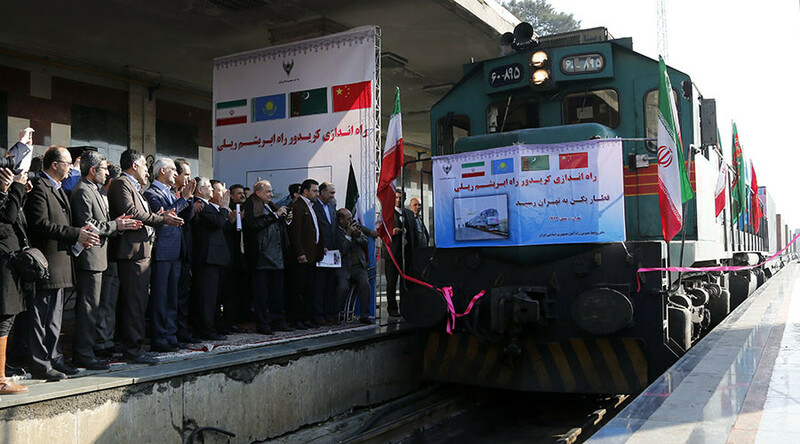 The first freight train to resurrect the ancient Silk Road route arrived in Iran from China on Monday. It took just 14 days for the 32-container train loaded with Chinese goods to complete the 5,900 mile (9,500km) journey from China’s eastern Zhejiang province through Kazakhstan and Turkmenistan. It’s 30 days shorter than the sea voyage from Shanghai to the Iranian port of Bandar Abbas, according to the head of the Iranian railway company, Mohsen Pourseyed Aqayi. “The arrival of this train in less than 14 days is unprecedented,” he said, adding that the revival of the Silk Road is crucial for the countries on its route. Aqayi says there will be a train every month and more frequently if necessary. The railway will not stop in Tehran, Aqayi said as they are “planning to extend the railway to Europe in the future” with transits generating more income for Iran. China is Iran’s biggest trading partner, accounting for most of Tehran's oil exports. Trade between the two countries stood at around $52 billion in 2014. 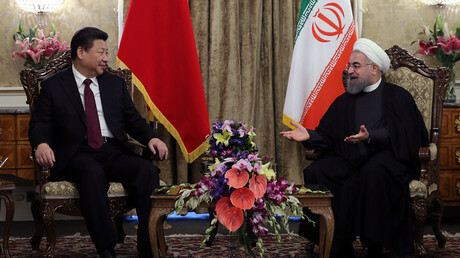 Last month Chinese President Xi Jinping and his Iranian counterpart agreed to increase trade turnover to $600 billion within the next 10 years. In 2014, Beijing announced an ambitious foreign policy initiative known as ‘One Belt One Road’. The project also known as the New Silk Road includes plans to build roads, ports, railway systems and other infrastructure from China to the Middle East, as well as Central, South and Southeast Asia. In April, China said it would allocate $62 billion from its foreign exchange reserves to three state-owned ‘policy banks’ in order to support the New Silk Road project and create infrastructure links with foreign markets. The Silk Road (or Silk Route) is an ancient trans-Asian trade route connecting China to Europe and the Mediterranean Sea. The route was named after the lucrative Chinese silk trade.